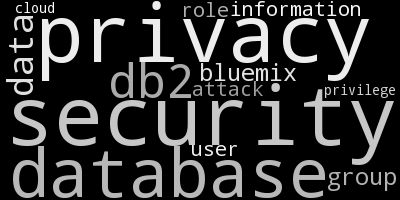 If you are reading my blog regularly, you are aware of the entries on cloud security. Today, I want to point you to some newer reading material at the Cloud Security Alliance. They now have up-to-date self-assessment security questionnaires for the IBM Cloud. The three available security documents cover IBM Cloud Infrastructure (IaaS), IBM Cloud Platform (PaaS), and the IBM Watson Services with their cognitive / AI capabilities. Using the provided material, you can learn about application security, audits, compliance, how business continuity and operational resilience are handled, procedures for change control, data and data center security, IAM (identify and access management) and much more. The answers include many links to references, documentation and other valuable information. Just for that it is worth going over the security questionnaires for IBM Cloud.